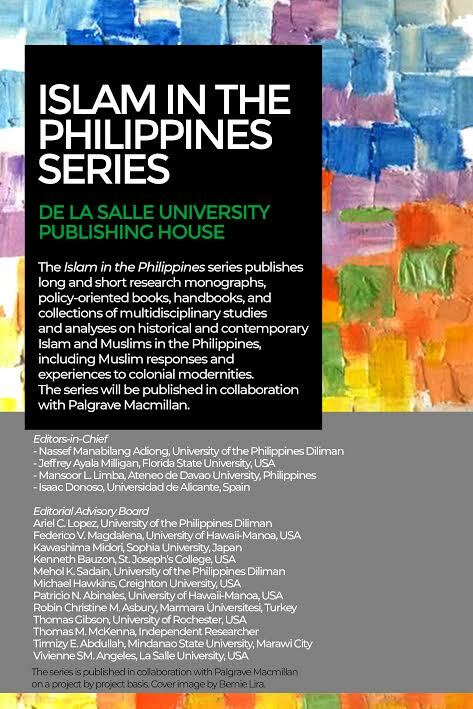 The Islam in the Philippines series (DLSU Publishing House) publishes long and short research monographs, policy-oriented books, handbooks, and collections of multidisciplinary studies and analyses on historical and contemporary Islam and Muslims in the Philippines, including Muslim responses and experiences to colonial modernities. The series is in collaboration with Palgrave Macmillan on a project by project basis only. Correspondence regarding book proposals should be addressed to Nassef Manabilang Adiong (contact@nassef.info). – The proposed title of the book. – A description of the book (between 400 and 700 words) that explains its rationale, scope, significance to the series, its relations to competing works, and notable contribution to existing scholarship. – A table of contents with chapter summaries. – Estimated word length for the whole book, its proposed completion date, and description of its target readership. – Optional: one or two sample chapters. – Complete curriculum vitae of the author(s).